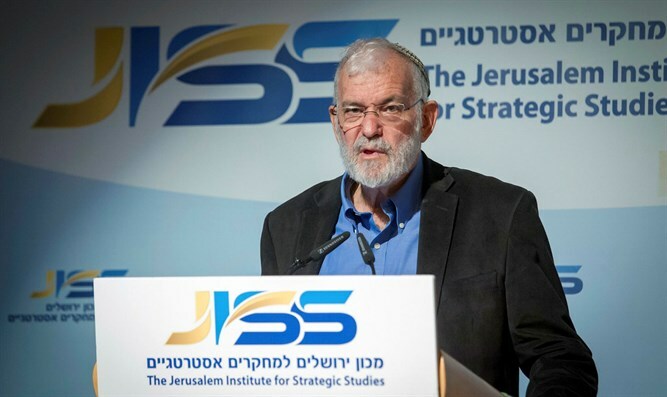 'Attacks by Jewish youths on Arabs undermines Israel's legitimacy,' says National Security Advisor Yaakov Amidror. Former Israeli National Security Advisor Maj. Gen. (Res.) Yaakov Amidror decried the specter of “Jewish terrorism” Wednesday, warning that attacks by Jewish youths on Arabs in Judea and Samaria were potentially more damaging to Israel than Arab terrorism. Speaking with Radio 103FM on Wednesday, Amidror responded to allegations against a group of Israeli teenagers arrested recently in connection with the death of 45-year-old Aysha al-Rabi, who died on October 12th after the car her husband was driving crashed when it was pelted by stones near the Israeli town of Rehelim in Samaria. While the Shin Bet internal security agency has come under criticism recently for its interrogation methods against Jewish youths suspected in al-Rabi’s death and the Duma arson case, Amidror suggested that the Shin Bet’s work in the two cases was vital to the very survival of the state. Beginning in late December and continuing into January, Israeli police and Shin Bet agents took a number of Israeli teenagers into custody in connection with the investigation into al-Rabi’s death. The youths are suspected of being involved in the stone-throwing attack on the al-Rabi family car last October.